While voters don’t have a contested primary, here are your options on the ballot for House District 63. While residents in House District 63 will have several options for the Williamson School Board, they will also have a look at the ballot to come in November. District 63 includes the eastern portion of Thompson’s Station and Franklin, encompassing all of Nolesnville and other unincorporated portions in eastern Williamson County. Thompson’s Station Republican Glen Casada will run once again for his District 63 seat. He first won it in 2001. Establishing a career in the legislature, Casada now leads the GOP caucus as the chairman and sponsored numerous bills throughout the last legislative cycle. This past session, Casada led legislation on inclusionary zoning, which got push back from both Franklin Mayor Ken Moore and the House Commission. His legislation would prohibit affordable housing mandates in the state, which left Franklin housing leaders frustrated. He was also a a vocal proponent for the state adopting some type of bathroom legislation when it comes to transgender issues and stood in agreement with the rest of the Williamson delegation on the issue of the repeal of the Hall Tax. Before the legislature even started in January, Casada considered asking for a special-called session in relation to the question of Syrian refugees entering the state. He said Tennesseans’ security remained his number-one concern, and the federal government should be mindful of any refugees entering the country, not just Syrians. He’s been in the headlines again this week in response to the Attorney General’s report on Rep. Jeremy Durham’s behavior in the legislature. While remaining hesitant to comment prior to the allegations this session, Casada said overall that Durham had lied to him. Casada graduated from Western Kentucky University in 1982 with a B.S. in agriculture. He and his wife Jill Sholar Casada have four children. He attends Brentwood Baptist Church and live in the Bethesda community of Williamson County. Democrat Courtenay Rogers is a single mother, small business owner and Navy veteran. While she didn’t consider herself a political person, she has been active in the Franklin community. Rogers said when she announced her candidacy she felt it was time to try to play a more active role versus just talking about it and waiting for solutions to evolve via the status quo. The longtime Franklin resident said she will run her platform from a pro-Ã‚Â­education, pro-Ã‚Â­family and pro-Ã‚Â­business perspective. She added she would like to work with local aldermen, commissioners and school board members to act more as a cohesive unit for the district in making decisions from the House floor. She graduated from the University of Mississippi with a degree in French and naval science, and was a naval officer on a guided missile destroyer upon graduation. While in the Navy, she served as the undersea warfare officer aboard the USS Hopper as well as the public affairs and tomahawk watch officer during Operation Enduring Freedom. Along with House District 65 candidate Holly McCall, Rogers is a part of a larger movement of Tennessee women who are seeking legislative positions. The legislature is currently about 17-percent female, making it one of the most male-dominated legislatures in the country. This week, Rogers has questioned Casada’s knowledge of what went on in the legislature regarding Durham’s behavior and the culture of the Capitol as a whole. 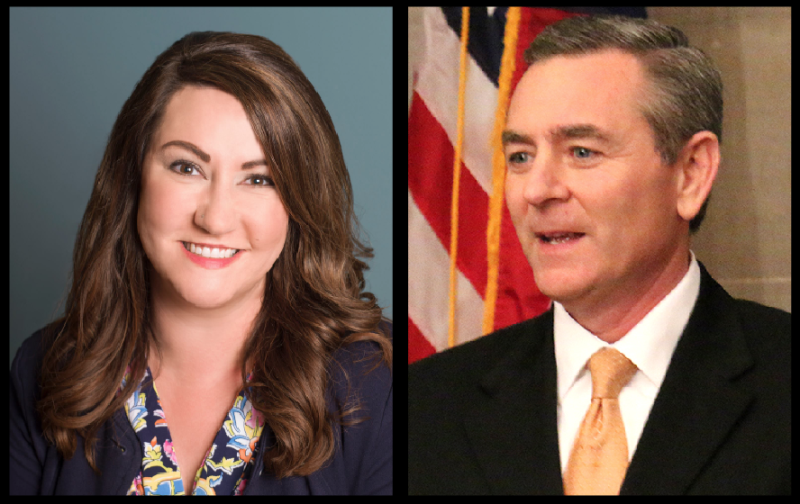 “I am outraged that the Republican Caucus Chair, Glen Casada, turned a blind eye to a sexual predator who preyed upon vulnerable women including underage college students Ã‚Â­under his leadership,” she said earlier this week.